Today there are approximately 90 million Amazon Prime members, and each one spends an average of $1,400 a year on Amazon. Consider that math. It’s astonishing really. But you probably already know about these figures. 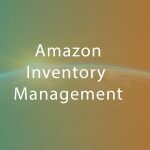 The question that you, and everyone selling on Amazon, is asking: “Given those numbers, how do I continue to gain market share in a huge space that’s super-competitive? In truth, it all becomes more nuanced by the day, but the most successful brands on Amazon do have one major thing in common: they dominate Amazon Advertising. Amazon Advertising Is No Longer an Option, It’s a Necessity. A staggering amount of space in Amazon search results is taken up by ads today. To be seen, you need to get in the game, and you can’t simply throw money at ads and hope it works. It doesn’t work and it burns through your budget like wildfire. You need a strategy, but right now, there are so many ways to advertise and so many placement opportunities that it’s easy to get confused or distracted. Campaign quality is often overlooked, especially when setting up campaigns. Many people begin with auto-target campaigns and stop there. Others fail to go beyond the basics of Sponsored Products Ads and they miss opportunities like Product Targeting. Still others, in seeking immediate results, run only one campaign (and cram everything into that) or they create too many campaigns to manage. The best idea: start small with a plan to scale your campaigns. Don’t throw in every kitchen-sink possibility. Build campaigns in a clean, lean format so you can edit them methodically and optimize them in the future, making it easy to add keywords or move them from one group to another. Starting small and taking some time to see what works will prevent you from making costly mistakes later. As for working clean, always strive for it. Why? Well, a few overstuffed campaigns can make handling PPC feel unmanageable. One client of ours comes to mind, a purveyor of tech accessories who was so overwhelmed by how much time it took to handle Amazon Advertising—coupled with the suboptimal results—that he had ceased advertising in order to tend to the other parts of his business. After time spent cleaning up the brand’s campaigns, the AMZ one step service team increased his ad revenue by 16 times. Even better, we drove his ACoS down to below 4%. Are keywords getting out of hand? If so, you’re wasting ad budget. The more keywords you have, the wider the net you’re casting. But that’s not necessarily a good thing. Experiment with keywords, but don’t overload and just hope for impressions and clicks. Remember that it’s about quality keywords that convert. We see many clients who come to us with thousands of keywords in one campaign. In addition to the campaign being unruly, those clients are wasting money, diluting and overcomplicating results, and they find it impossible to scale up as their Amazon presence expands. Our recommendation: mine your data to find the best converting keywords, then trim, trim, trim! Eliminate keyword overlap and instead target strong keywords with high conversion rates. Quality over quantity always. You’ll see immediate results. Then you can reinvest that previously wasted ad spend in additional keywords that perform well or in new campaigns for hot products or anything else that opens more doors to profitability and growth. Common mistake sellers make is monitoring keyword bids closely, but ignoring the daily budget. Doing so means missing the bigger picture. Budgets are essential to overall results. By focusing on individual bids rather than daily budget, sellers and brands are likely to miss out on advertising throughout the day, and they tend to spend too much on campaigns that are not performing. Be detail oriented, but don’t get lost in the details. Use Ad Scheduling in AMZ one spy to make sure that you’re running ads only when it’s profitable lest you run out of budget early in the day. Even though Amazon encourages you to raise your budget any time you reach a max, it’s because that benefits them. Raising a budget isn’t always the right answer. We only recommend that you raise the budget for something that has been providing results and leading to sales. Don’t throw more good money at bad keywords and expect better results. Find out why you’re maxing out and drop the losers and stretch the winners. Just by using Sponsored Brand Ads (formerly Headline Search Ads), we’ve dramatically increased traffic for our clients’ brands. They sell more products, often pick up add-on sales from their catalogue, and strengthen their brands overall. Effective brand awareness requires strategic category keyword targeting and going beyond branded terms. One client, in particular, wanted to grow his brand’s base. By expanding beyond branded terms into general category terms, Seller Labs Managed Services built more recognition in the market to drive ad results. That client’s ad revenue climbed by 180% as a result of broadening brand reach and tapping into the larger category.